BOP ON TREND: Rooftop Malbec. My sister Sam has a great rooftop at her East Village apartment. I'm lucky enough to live on the same street as her (only a couple avenues west! ), making it easy to stop by for midday drinks and music with a view. As is gets chillier, I look forward to sipping cool weather wines like Malbec and sporting winter coats as an extra layer. 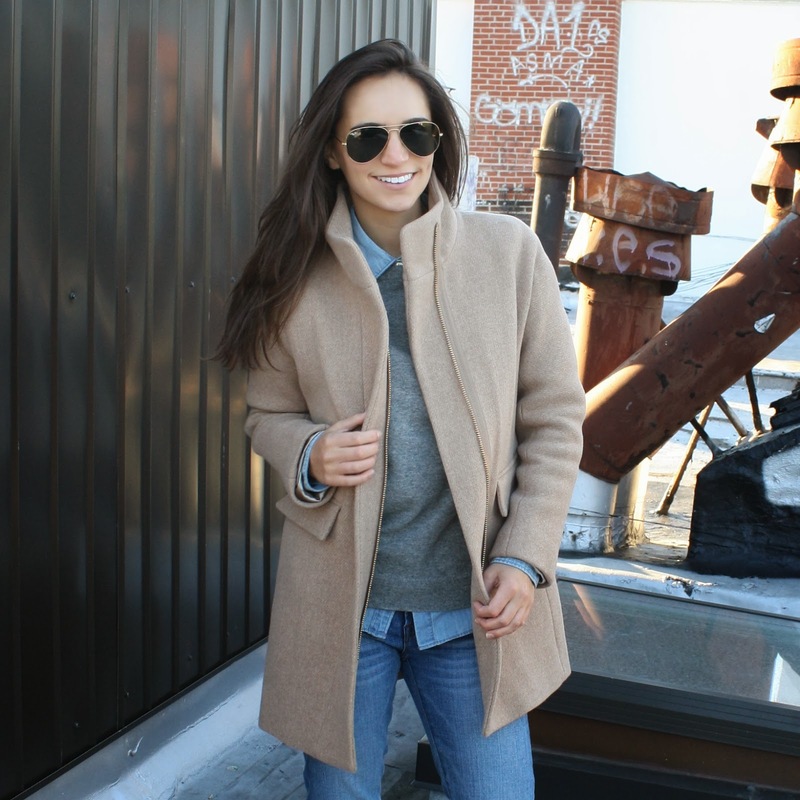 For this season, I just purchased this camel colored coat from J.Crew. I love the color because it goes with everything and like that it has a standing collar, making it slightly more modern. It is super warm with room to spare for layering underneath too, but doesn't have the look of a bulky jacket - which is key! omg. I LOVE this look!! That coat is TO DIE for!! I've been looking for a good camel-colored basic myself! Love you styled it too!